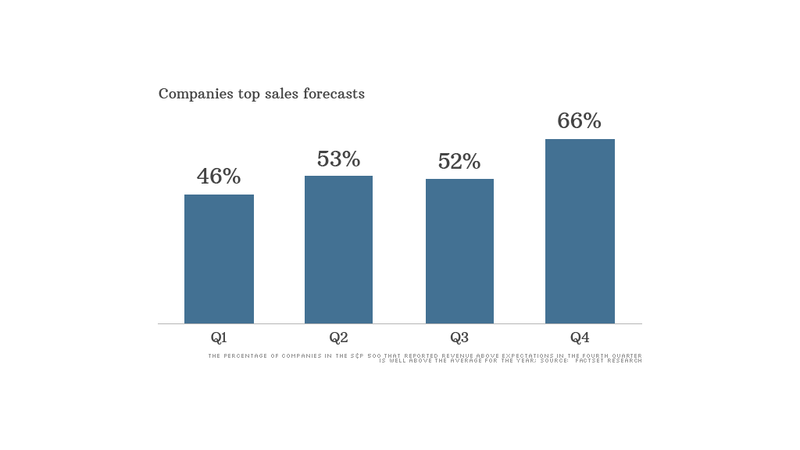 A greater percentage of companies beat revenue expectations in the fourth quarter than any other quarter of 2013. Is this the revenue renaissance investors have been waiting for? Yes and no. After a long stretch of disappointing revenue numbers, a higher percentage of companies topped sales expectations in the fourth quarter than in previous quarters last year. But the improvement on the top line has been fairly modest -- and the weather isn't going to help matters in the first quarter. 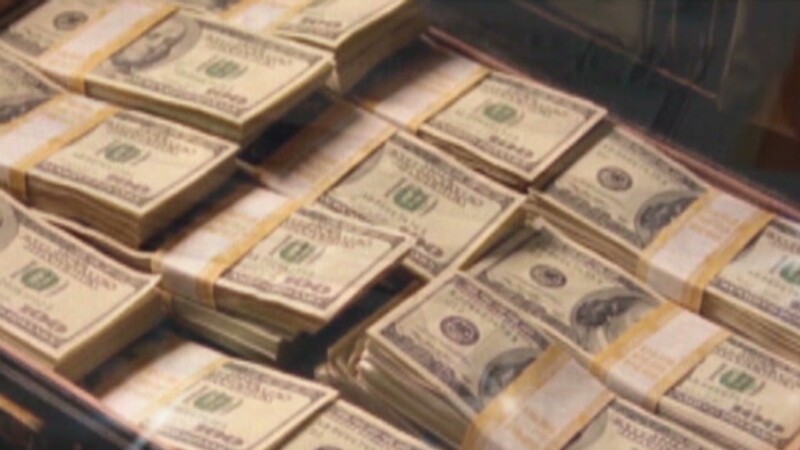 The good news: Two-thirds of the companies in the S&P 500 reported sales in the final three months of 2013 that were above expectations, according to FactSet Research. That's the highest percentage of positive revenue surprises since the second quarter of 2011, when 72% of the S&P 500 reported revenue above expectations. Telecommunications companies were the most consistent. All of the companies in that sector beat forecasts. Utilities and health care companies also reported better than expected revenue numbers. The trend may be comforting for investors who have worried about "low-quality" earnings over the past few years. Some experts have worried that corporate profits have been driven more by cost cutting, especially layoffs, as opposed to increased demand from consumers. Kristina Hooper, U.S. investment strategist at Allianz Global Investors, noted that it was encouraging to finally see a "breakout" in revenues following quarters of "really lackluster" growth. The improvement in revenue suggests that earnings growth could be sustained as the economy recovers. Now for the bad news: The overall growth rate is still fairly tepid -- just an 0.8% increase in sales over the fourth quarter of 2012. It's also worth noting that expectations were extremely low to begin with -- analysts were expecting fourth-quarter sales growth of 0.3%, according to FactSet analyst John Butters. Then again, growth is growth. And it's encouraging that companies were able to top forecasts ... even if expectations were low. Bill Stone, chief investment officer of PNC Wealth Management, said he would be more worried if companies didn't post increases in sales. Stone warned that revenue growth might tail off in the current quarter, which has been marked by mixed economic data. Some economists and investors have blamed the snow and ice that has blanketed many parts of the country, including areas not used to winter weather, for the sluggish numbers. "The first quarter might be a bit sloppy, to continue with the weather theme," said Stone. But he's hopeful that consumer spending and corporate revenues will pick up in the second quarter. Hooper also acknowledged that weather-related weakness could "filter through" to corporate results, but she was optimistic that sales would continue to improve throughout the year. "We may see revenue falter a bit, but we shouldn't assume that the trend is over," she said.